countless scribblings and forgotten melodies later, I listen ever more intently for that inspiration flying in omen- like........... 'breathe me in, shape me, sing me in and sing me out'. my hope is that you enjoy them too. Discography below lets you sample recordings made so far, but to find out more about live performances, please follow the link here to an article about the highly acclaimed 'Sitting Room Sessions' performances. "...that was magical, pretty close to paradise..."
All the songs which you hear as mp3s on these pages can be snapped up on CD by clicking on the 'Add to cart' button. 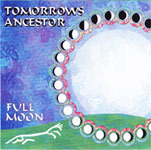 However Firegazing, Honour and Tomorrows Ancestor can also be heard and bought as digital downloads by clicking here, which will take you to the band camp website. 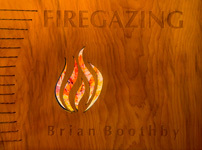 The latest release, five years in the making, of songs brought by the many personalities who might be gathered round the fire: 12 lyrical songs of omen, observation, loss, inspiration, travel and valediction, brought vividly to life in the singing of Brian Boothby and the superb playing of Chris Ellis, Adam Summerhayes and Dave Sturt. 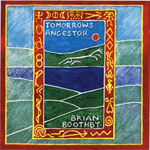 "......... congratulations on a superb piece of work, extremely atmospheric and evocative of the things worth having in this world ......."
'Roots with shoots', someone aptly put it ....... the 5-track 1999 EP with the band Tomorrows Ancestor, (see below), with Anna Brookes on fiddle, Ben Daglish on flute and whistles, Deb Rose and John Thorne on percussion and Dave Sturt on fretless bass. Hybrid traditional/Boothby/band material. Contains some of the current live material. "....... if I only get off duty for one act this year, yours will be the one ........."
we had a great time ............ ten of mine, one by Johnny Clegg. Released in 1992 on cassette, as a fundraiser for the Tree Spirit charity, who are still planting trees and raising awareness of deforestation and other environmental issues. One half traditional and contemporary songs and tunes, the other half global woodland wildlife sounds accompanying work as varied as a Britten oboe piece and a Walter de la Mare poem. All profits go to Tree Spirit. 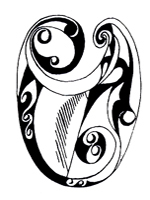 A very varied early collection in many styles: some songs with guitar, some traditional, some original; some instrumentals on brass-strung Celtic Harp, some pioneering fusions. First released on cassette in 1989, now available in digital format.